The Elizabeth Fry Society of Calgary (EFry) helps builds bridges. 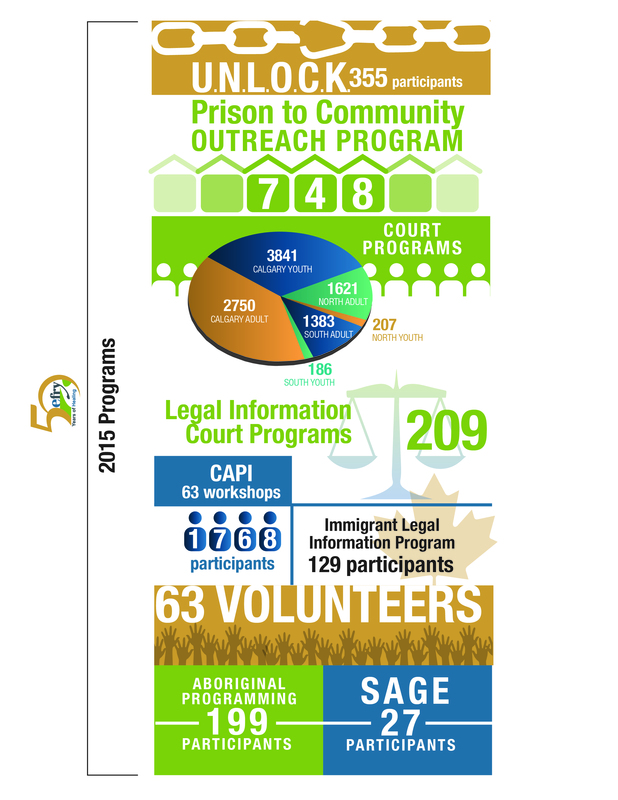 For 50 years, we have offered a hand up to thousands of women and youth engaged with the legal and justice systems by providing practical programs, basic necessities and connections to community resources. Our goal is to build the skills necessary to create more hopeful futures. There are many ways that you can make a difference to at-risk women and youth. Sharing our information through your social media channels raises awareness, giving of your time as a volunteer extends our resources and making a donation supports our programming. We appreciate whatever you can do and however you can give of your time, talents and resources. The Elizabeth Fry Society of Calgary offers pathways to healing through supports and advocacy, for women and marginalized populations who are affected by systemic social issues which can contribute to criminalization. The women we serve are mothers, sisters, daughters and friends. They have faces, names and stories that matter. They are brave and resilient, but unsure about their future. We believe, and know without a doubt, they are worth another chance. Our programs help women break the cycle of poverty and start again. We help women transitioning from prison to the community, as well as offer resources to women and youth involved in the justice system and courts. We are a leader in working with the Indigenous community and offer resources unique to Indigenous women. We believe that Indigenous women are more likely to heal when they have access to a culturally safe environment with traditional, spiritual and cultural resources and supports.